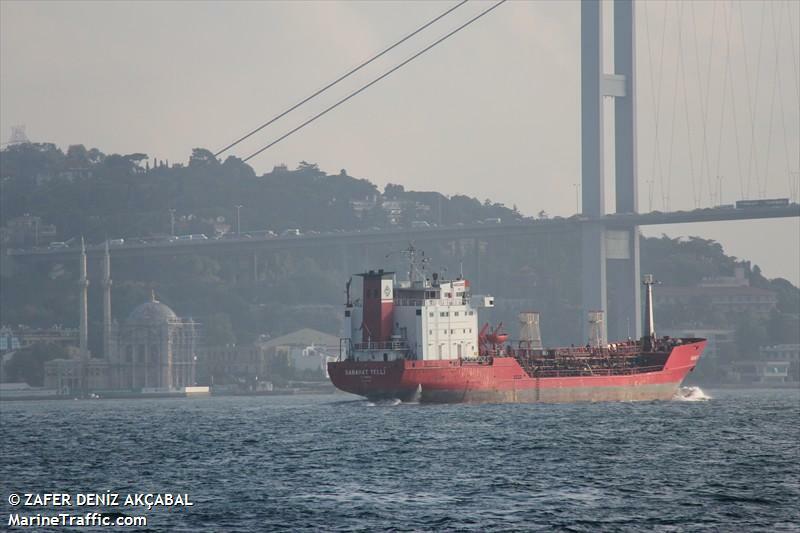 The 99 meter long, 4557 dwt chemical tanker Sabahat Telli became disabled in the Istanbul Strait. The tanker was proceeding north through the strait when it suffered engine failure. 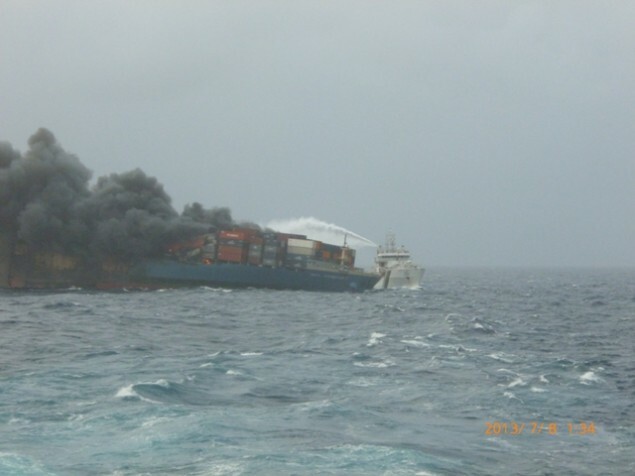 The crew contacted traffic authorities who dispatched tugs and rescue boats to the scene. The Sabahat Telli was taken under tow to an anchorage in the Marmara Sea. No reports of injuries, damage or pollution released. The tanker was en route to Russia from Iskenderun. 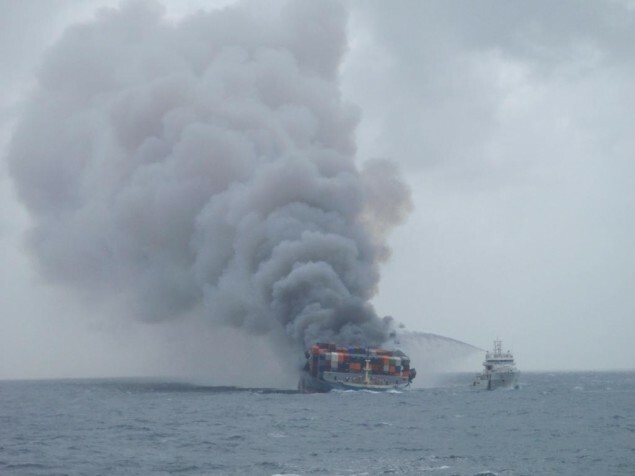 A fire broke out from the rear end on July 6, and one tug boat and two rescue boats have been responding to the fire. 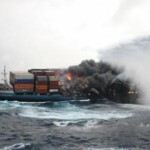 On top of these three boats, the salvage company requested assistance of the Indian Coast Guard for fire fighting, and their patrol boat “SAMUDRA PRAHARI” with an external fire fighting system, arrived at the scene around 0030 UTC on July 8, and started fire fighting with the others immediately. However, due to adverse weather, the work has not been progressing smoothly and the fire is not yet under control. 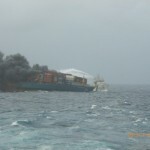 Observations show that many containers on the deck have been burnt out. 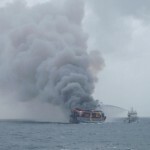 One report states that the Indian Coast Guard was able to get the blaze under control. 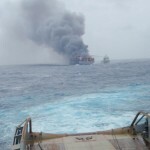 Other reports state there are four vessels continuing to fight the fire including one from the Indian Coast Guard, but they have been unable to bring the fire under control.